The Mass of Christian Burial, celebrating the life of Norbert G. Schleppenbach, age 89 of Albany, will be 11:00 AM, Monday, April 15 at the Church of Seven Dolors in Albany, burial will be in the parish cemetery. Norbert died at his home on Thursday. There will be a visitation from 4-8:00 PM, Sunday and again after 10:00 AM, Monday at the Miller-Carlin Funeral Home in Albany. Seven Dolors parish prayers will be at 4:00 PM and the Seven Dolors Knights of Columbus will pray following parish prayers, Sunday at the Miller-Carlin Funeral Home in Albany. 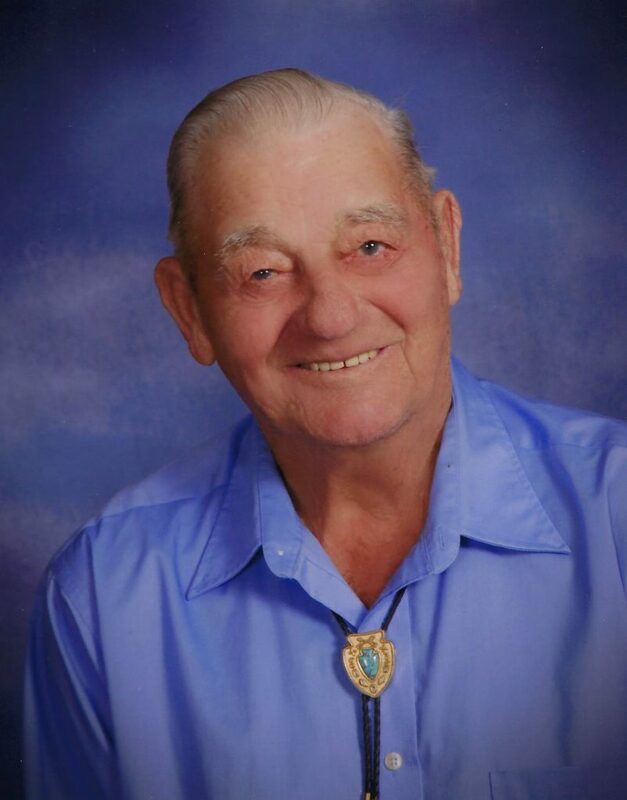 Norbert was born July 30, 1929 in Farming Township to Frank and Anna Schleppenbach. He lived in the Albany area all of his life. He married Marie Rodenwald on October 1, 1958 in Albany. The couple farmed together before moving to Albany. Norbert also drove bus for Albany Schools until he retired about 2001. He was a member of the Seven Dolors Catholic Church and the Knights of Columbus. Norbert is survived by his wife, Marie, Albany; his children; Amy (Joe) Thelen, Albany; Ann Marie (Roger) Ohmann, Albany; Cheryl (Erik Schulte) Birr, Waite Park; Donald (Kimberly) Schleppenbach, Albany; Donna (Dan) Sorenson, Albany; Janet (Ron) Koopmeiners, Albany and Jeannie (Rick) Fleck, Foley. He is also survived by 19 grandchildren, 12 great-grandchildren and brothers and sisters; Albert (Clarice) Schleppenbach, Albany; Lucille Imdieke, Melrose, Florence Dirkes, Albany and Elmer Schleppenbach, Albany. He is preceded in death by his parents, Frank and Anna Schleppenbach; his brother, Sylvester Schleppenbach, sister, Agnes Neuwirth-Wehseler, and a great-granddaughter, Cadence Feiler. There will be a visitation from 4-8:00 PM, Sunday and again after 10:00 AM, Monday at the Miller-Carlin Funeral Home in Albany. Seven Dolors parish prayers will be at 4:00 PM and the Seven Dolors Knights of Columbus will pray following parish prayers, Sunday at the Miller-Carlin Funeral Home in Albany. The Mass of Christian Burial, celebrating the life of Norbert G. Schleppenbach, age 89 of Albany, will be 11:00 AM, Monday, April 15 at the Church of Seven Dolors in Albany.